As you probably have guessed by now, I’m still celebrating my 10 Year Blogging Anniversary. And because you just can’t have a 10 Year Blogiversary Celebration without some Cuban bling, Santayana Jewelers has created a special MBFCF Turns 10 Celebratory Charm Bracelet. This beautiful leather Chamilia bracelet from Santayana Jewelers represents the Perfect Cuban Meal and comes with three (3) charms: Cuban Colada Bead, Arroz con Pollo Bead, and (of course!) a Pastelito Bead. Are you dying just a little? A $205 value. It’s the most perfectly perfect of Cuban accessories. Be sure to check out the entire Santayana Habana Collection of Charms. Because of their wonderful generosity, Santayana Jewelers is sponsoring today’s giveaway: A MBFCF TURNS 10 Charm Bracelet representing a complete Cuban meal, with the 3 charms, as pictured above. This is why I love them so much! What’s your favorite charm in the entire collection? Do you have any personal memories of Santayana? The are offering $10 off AND free shipping with the promo code MARTASENTME. Expires on Monday, October 31st, 2016. This special code cannot be combined with other offers. Also, I feel sooo accidentally cool. 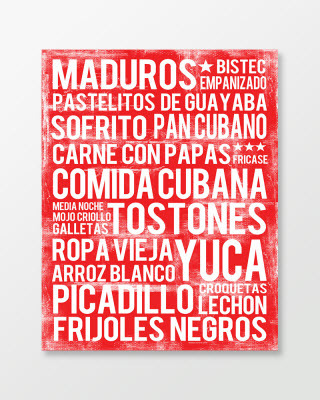 And because we’re already talking about wearing Cuban food, I feel like you should show off your love for Cuban food by hanging your very own Cuban Food Poster in your kitchen. Comes in 7 colors and 3 sizes. Available for purchase in my online shop, Marta Darby Designs. What a coincidence! I love Coladas, Arroz con Pollo and Pastellitos…And Bling!! I loooove the guayabera bead! How creative and adorable! 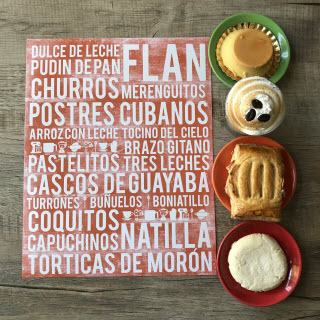 This is adorable and very Cuban like , I love the pastelitos one. My favorite charm in the collection is the Cuban Colada Bead Charm. This is absolutely perfecto! Just made arroz con pollo last night and would have given anything to have enjoyed some pastelito’s afterwards! Not so easily attained in central Minnesota. I absolutely love these charms. My favorite is the colada. Hope I win!!!!! is my favorite. It brings back a lot of memories and is something that I really miss seeing being made in the kitchen. Oh I remember seeing this bracelet on your blog a long time ago and I lived in Germany during that time and I called Santayana from Germany to ask if they shipped overseas but they didn’t. Broke my heart since it was always hard to get anything cuban over there. I was very homesick. Hi Kayla!! This is Elena Santayana. Write to me via “contact us” on http://www.santayana.com and I will send a package to you. I have since figured it out!! So proud of my Cuban heritage and how Santayana is celebrating our Cubanidad. I love love ❤️ the arroz con pollo charm! I love this whole bracelet as a matter of fact! I NEED that pastelito charm in my life! Love it!! I don’t have any personal memories of Santayana. Who does not love bling, and Cuban bling at that! Love, love, love It! Congrats to whoever the lucky winner will be! Happy 10th Anniversary!!!! I remember joining you within your first couple of years and going back and reading all your posts from the beginning. I’ve always said that reading our blog was like a sweet phone call while I drink my coffee in the mornings. 🙂 Te quiero a ti y Amy de verdad and what a blessing it has been to know you both. my mother in law makes. The personal story that I have with Santayana jewelry is 1) when I won another bracelet with charms a few years back on your blog and which led me to order more that year for my daughters for Christmas. Awesome people!!!! Happy 10th Anniversary!! I prepared two of your recipes this week for my viejito who is very ill. I followed your natilla recipe exactly as noted including the stirring and it turned out amazing! I’m so happy you’re around to keep the Cuban recipes alive. I love the cafetera bead. It reminds me of happy times when my family would get together. When I learned to make the cafe, my abuela would personally request I make it. Miss those days. Always laughing and plenty of cafecito! My favorite charm is la cafetera, I know is not included here, but it is the cutest piece. I love Santayana for being so cubanisimos the same as Marta. Lol! I live in Chicago and never thought of looking for a place that makes Cuban charm heirlooms! Me muero! They’re adorable & I would love to rock one or all of these charms in my bracelet! Wow! Too many to choose a favorite. I love the ‘ñ’ and the cafetera, but when i saw ‘fuacata’, that took me back to my childhood. Happy 10 th. And many more! Ahh! I absolutely LOVE the colada charm. Can’t start my morning without a little Cuban coffee kick. Happy 10th Anniversary! My absolute favorite charm is the violeticas charm. I’m in my forties and I keep a bottle handy for those days I want to remember my childhood. But all the charms so touch a little bit of Cuba in there own way. Great job Santayana for bringing authenticity in your jewelry and for Ms Darby to share with all of us!. Heart flutter! I love the bracelet, I love the idea that our culture is everywhere. Thank you Martha for the brilliant idea! I love the cafetera and azabache. If I win this would be my first unforgettable memory of Santayana Jewelrers. Ayi…que Bella! My favorite is the Pastelitos charm. It reminds me of my Birthday month and of the good times spent in my beloved CUBA! I love the pastelito charm!! My favorite charm is El Azabache. It reminds me of my moms Tia Like. “Mercy no salgas de la casa sin ponerle el azabache al Nino!! Best memories ever!! I love the Materva charm! It’s my favorite drink and I can’t find it on Long Island. It’s the first thing I stock up on when I land in Miami. SE LA COMIERON CON ESTOS “CHARMS”!!!! ESTAN ACABANDO LOS CUBANOS! Just thinking about arroz con pollo makes me hungry. I can make arroz con pollo, but I cannot get a pastelito where I live in California. I love them all but the Corazon de Melon is the cutest!! Happy 10th???. How awesome is this bead bracelet!! El arroz con pollo bead is my fav. Cutest bracelet ever can be worn by all ages. Or mix it up depending on your eccentric style. I found out about Santayana several years ago and was fascinated with their Cuban beads and other pieces. I went to their store and fell in love with them, but my absolute favorite was the cafetera bead. I bought that bead and it’s been sitting in my jewelry box all these years. I would love to win this bracelet because the cafetera would finally be right at home. Wearing the bracelet would be such an awesome way to show off my heritage. Happy 10 years! I love to read exile stories! Bought my daughter’s baby bracelet at Santayana when visiting family in Miami. Coñooooo! Colada of course! Dale! Happy 10th Anniversary MBFCF!! My favorite charm is of course the “Pastelito de Guayaba” chica! Felicidades Marta, keep up the great work you do???? Happy 10th Martica!! I’m enjoying your little man from afar. He is delicious!! I love these beads!! 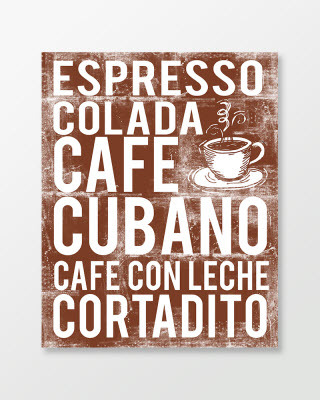 It would be hard to pick a fave but I love la cafetera and la colada! I absolutely love that bracelet and since I love arroz con pollo that charm is my favorite. I don’t live in Miami so have not visited Santayana’s but will keep it in mind next time I go there. Thank you Marta!! Really cute! 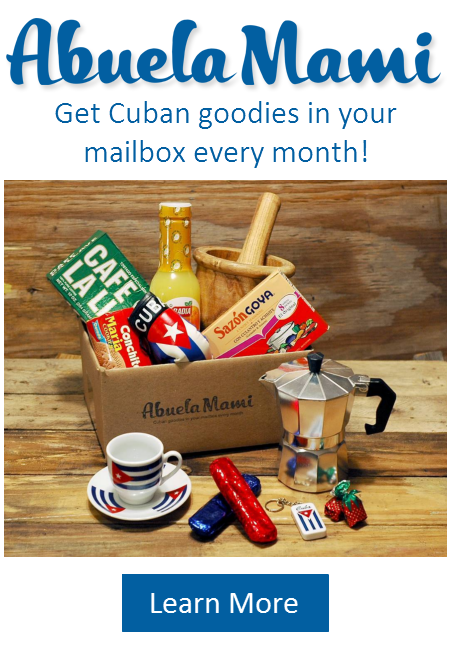 It would be amazing to win this cute piece of cuba! What an amazing tribute to our cuban heritage. There will be a few charms under my christmas tree this year for my mom and suegra. My favorite so far is the arroz con pollo charm as it is my mom’s signature dish and brings back so many memories of my childhood surrounded by family. My favorite charm is arroz con pollo….my favorite dish. Hope to win….my birthday is October 28th so it would be a great birthday gift!! Lindisimo! So proud of my Cuban heritage! My favorite memory is being able to peruse all of the cute charms as they evoke such strong sentiments from growing up. The pastelito de guayaba charm is my favorite though, hands down! 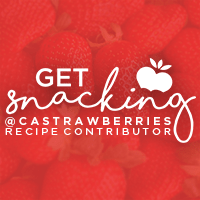 Thank you for your honest humorous blog and for uniting us Cubans with great products, recipes etc. What can I say? Those are the top three items that I love about Cuban food. I also love Satayana jewelry. My mom and I have bought my daughter her first earrings from Santayana and the collection has grown to more earrings and bracelets. Amazing jewelry quality. I also own your Cuban food poster! I’m in the middle of adding some cabinets to my kitchen and as soon as that’s done the poster will be framed and added to my kitchen. I’m so excited for this giveaway! Two of my favorite people that I follow. I hope I win! Absolutely love the bracelet, definitely the perfect Cuban meal. Santayana are the best jewelers in town and very accommodating. I love their charm collection but as the mother of three boys passing down bracelets as an heirloom wasn’t an option for them. For my eldest son’s graduation I wanted to give him a meaningful keepsake, he is a Latin percussionist and I had a conga charm myself, so I asked if they could make cufflinks from the conga charms….guess what they did! He loves them and is always asked where he got them. Santayana Jewelers of course!! 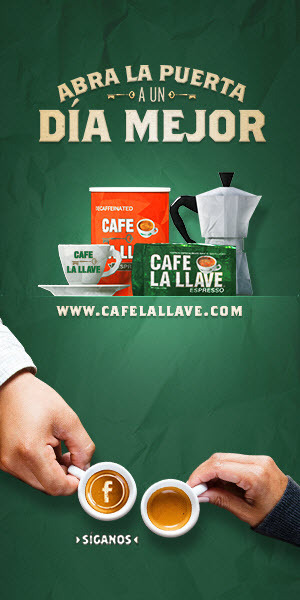 La cafetera charm is hands-on my favorite..I need it in my life as much as I need my morning cafecito!! They need a Hialeah charm y un frijol..a single black bean..lol. Even if I don’t win the giveaway- thank you and Santayana for my nostalgia fix..I miss little Cuba (Miami- my home). Sidenote: I took your puff pastry pastelitos recipe and ran- it’s so easy and so good..and with a lack of authentic Cuban bakeries nearby, these are gold!! Happy 10 year bloggyverssary! My favorite Santayana charm is the Pedro Pan charm because it is a reminder for me of the sacrifices that my Mom and Grandparents made when they left Cuba. It reminds me to never take anything for granted and work hard for what I want. By the way this April I took my first trip to Cuba and Kikita’s blog about her first trip to Cuba embodies so much of what I experienced. Thank you for sharing your stories with us! Happy 10th Anniversary! I love your blog and I love these charms from Santayana! I send screenshots to my husband weekly! LOL!!!! My favorite charm from the collection is The Pedro Pan. My mom and aunt came to the US in 1961 and were here for a year before my grandmother could join them. My favorite memory from Santayana is going there with my mom to choose my semanarios for my Quinces. I love their charms!! Being a transplant to MN from Miami it allows me to have a little bit of home with me everywhere I go!! I have the cafetera charm and get asked about it all the time. I am in love with pastelitos charm but have to say the cafetera is a close second in my book. Happy 10 years!! Felicidades on your 10 years of blogging Marta!!! You keep our culture alive with your stories and recipes. I love how you help me embrace all that is Cuban, including now this adorable bracelet. I love, love, love, all three charms!!! I’d have to say my favorite one is the cafecito charm! It’s my favorite because I know my mom is in love with this thing g and with her cafecito at home. Hopefully I can win this for her ? My favorite charm is a tie between La Isla de Cuba and the Cuba Libre, both of which remind me of my first trip to Cuba last year. Always dreamed of seeing my father’s country and those two give me all the feels! Hard to choose just one. I love the olla de presion one. I love the cuba libre bead (there are really too many good ones to choose from though!). I love the bracelet. And I have enjoyed MBFCF so much. Thank you for your posts. I love the pastelito bead! I’m going over to her site right now because my lovely Mother-in-law (born in Cuba) has a birthday coming up! My favorite is the colada! I have already hinted to my family that I want the entire collection for xmas! I also love the domino! Santayana is such a staple for all Cuban woman in Miami. Love all they offer!!! I have a colleague who uses charms to help her meditate and breathe. She chooses charms for her bracelet which remind her of meaningful things/moments in her life and help ground her. This bracelet would work for this purpose, as all I can think of when I look at it are happy moments. I would lovingly call this bracelet “Cuban Zen” as it reminds me of Sunday meals en casa de mis abuelos, sharing a quick cafecito break with co-workers, and bringing pastelitos to share the warmth and sweetness of my culture with friends. Thank you! I have been wanting since I stumbled across their page. My fav are the Cuban flash, arroz con pollo and pastilito one. Hope I win! Omg I love the pastilito charm. Santayana has some beautiful cuban charms . Been wanting one for a while . Happy 10th blogiversary Marta !! Happy 10th Blogiversary! Wow I love so many of the charms that I love which makes it hard to pick a favorite! Naming the top three- I love the bottle of the Violets cologne. I still use Royal Violets today (ever since I was a baby). I love the Ñ since I am from generation Ñ. Lastly, my favorite is the Materva can. It takes me back to when we were kids and our grandparents were still around. Wonderful memories. Happy Anniversary! And thank you so much for the many things you’ve shared! I live vicariously through your posts since so few Cubans live around me and no actually places to get authentic food (besides my kitchen)! Ever since I moved out of Miami to pursue my doctorate degree, homemade cortaditos and coladas have been my link to feeling like I’m still home, when I’m clearly not. I love this bracelet! Nice, lovely and informative. Thank you! I love all the charms but the one that brings up the best memories for me is the arroz con pollo charm. 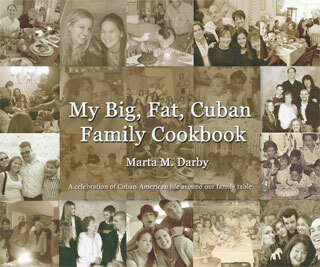 It reminds me of my family’s cooking and it is the first Cuban dish I learned to cook. It is my go-to comfort food! Great gift para el cumple 70 de mi mama. Her favorite things in one bracelet. Feliz aniversario. My favorite is the pastelito! When I make them, using your recipe of course, I can eat the whole tray by myself! Yikes! Happy Anniversary!!! I love the cafetera bead…reminds me of the cafe con leche that my suegra used to make. My favorite charm would be La Virgen del Cobre but I also love the Arroz con Pollo charm!!! Felicidades MBFCF!!! Love this! My favorite is the pastelito! I like the arroz con pollo bead the best. Wow!!! I cannot believe that you are a lover of Santayana. I just found out about these, where have I been??? Hands down, the pastelito de guayaba is my favorite. …..Making my mouth water right now!!!! These charms are beautiful my favorite is the arros con pollo. The perfect way to remember my grandma. Wow how creative and beautiful. I love the Havana Crest! One time I walked into an Alex & Ani store and asked if they had a Cuba charm and they looked at me like I was crazy. I’ve never heard of Santayana, but I have a feeling that was the store I should have been in. I love , love , love the cafeterita charm!! I’ve heard the Santayana name and next time I go to Miami I’ll go to their jewelry store!! I love , me encanta, your blog!!! I remember my mother’s jeweler, Santayana that came to your home to either sell you something or pick up jewelry for repair. He use to tell my mother that his son had a jewelry store and did not have to go house to house . He was a true gentleman that always wore a suit, even in Miami’s summer. Love the charms, can’t pick a favorite. I love the Arroz con Pollo charm! It’s like I can smell it cooking in the kitchen, the only thing missing would be having my dad manning the stove! ? What an awesome giveaway sooo beautiful soo generous. Thank u for the opportunity. That cafetera charm would be soo beautiful in memory of my mami who passed away last year . I personally don’t have any special memories of Santayana this would be a great way to start one . I love the arroz con pollo charm!! My daughter’s favorite dish! These charms are lovely and express our heritage in such a classy way. I love the Rose children charms. The Wrrozbcon Pollo is so unique and I’m going to have to treat myself to it! Happy 10th MBFCF! ? Sorry I didn’t check my spelling… Arroz con Pollo ? I love the pastelito charm cause I can’t get the real thing where I live so at least now I can wear it.